The Striped Blazer: 3 Ways to Keep the Look Fresh All Summer Long. 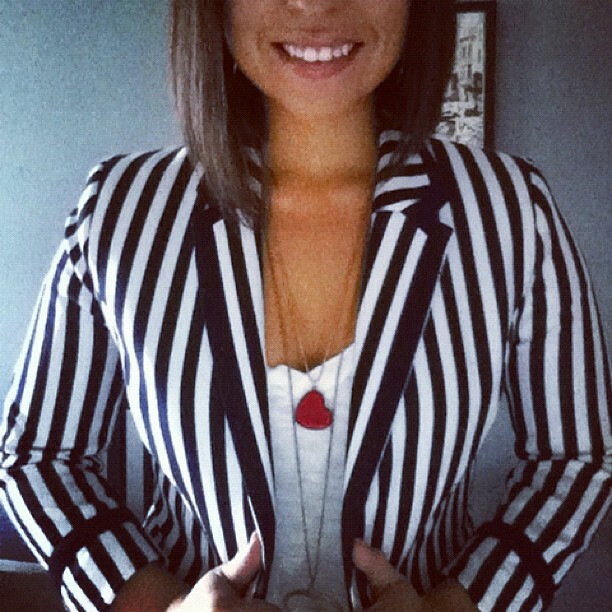 My new favorite item in my closet is definitely my new striped blazer. I have a feeling that it’s going to be a struggle not to wear it more than once a week. We all have THAT item, that we always want to wear… this is mine. In order to keep my look fresh, here are 3 ways that I will be rocking my striped blazer all summer long. The blazer is cool in itself. Let it be the statement part of your outfit. Just add jeans and a pair of heels. Do you dare to add another print? Why not. Stripes + Polka Dots / Try out a few prints to mix it up. The only tip I can add – is keep the print in the same color family as the stripes. Print and color can be a little much. It’s summer time, that means color is mandatory. A touch of color doesn’t have to fight against the stripes. In fact it might surprise you just how much a pop of color in the form of a pair of jeans, a dress or bright heels can make the stripes pop. What I love about this classic blazer style is that its classic enough for work, but also fun enough for to wear outside of work. It’s also a challenge to keep a favorite item fresh, when it’s heavy rotation – but that’s half the fun. Love that striped blazer! I can see why you love it. 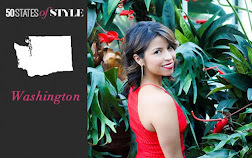 So much fun to style! Fantastic advice. I like them all, and especially "COLOR" for summer.